Interest in probiotics for dogs seems to be growing. 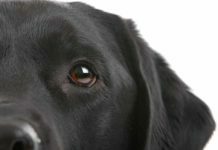 In this article we dig into the scientific evidence behind the hype, and find out if probiotics could be beneficial for your Labrador. More than anything else, we want our dogs to be happy and healthy in our care. Of course we do, we love them! Well we owe them the very best we can give, right? And we feel terrible if we think we’re depriving them of it. Then if we find out those supplements are just recreating natural goodness, we’re already half way out of our seats to get to the pet store! Dog probiotics have been around for several years now, and they have been carefully marketed to tap into all these feelings. But are dog probiotics really as good as they promise to be? Probiotics are living bacteria, grown in controlled conditions. They are added to foods, powders, chews and treats. The intension is that hopefully they ultimately end up living in your dog’s intestines. Just like us, our dogs’ intestines host all kinds of bacteria. Some of these are disease-causing (like Clostridium and Escherichia), but many are “good” (such as Bifidobacteria and Lactobacilli). In exchange for somewhere to live, good bacteria help us. They digest carbohydrates, suppress the number of disease-causing bacteria, and even improve our immune function. Human fascination with consuming probiotics to increase the number of good bacteria in our bodies has been growing for decades. By the 1990s it was hard to move for probiotic yogurts and drinks promising to improve our digestive health, our immune systems, and let’s face it, our whole life. Then in the Noughties, the Federal Trade Commission, the European Food Safety Authority and the Advertising Standards Authority all found that the market-leading manufacturer of probiotics didn’t have enough evidence to prove all the health benefits they claimed to deliver. Whilst the products are still on sale, they are advertized with a little more reserve now. Meanwhile, what started as a healthy eating trend for us, quickly began to migrate into the pet food market as well. Now there is a vast array of dog probiotics on sale. Promising your dog better digestive comfort, enhanced immunity against infections, a glossy coat and a healthy glow. Many of them claim to be “scientifically proven!!!! !” and usually have the price tag to match. But how much credibility do they really deserve? This is a question we’re only just starting to answer in humans, and inevitably research into how probiotics work in dogs is lagging slightly behind. We do know that dogs don’t naturally have as many bacteria in their gut as humans do, and they’re less reliant on them to digest carbohydrates than we are. Without a more detailed answer yet, we can only speculate how we think they work by measuring the improvement in health of dogs that take them. In 2004 a team of researchers at the Waltham Centre for Pet Nutrition supplemented the diet of fifteen healthy adult dogs with the probiotic Lactobacilli acidophilus. 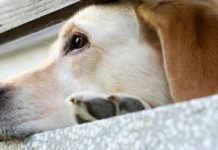 They found that after four weeks the number of Lactobacilli acidophilus living in the dogs’ intestines had increased, and the number of disease-causing Clostridium bacteria had decreased. They also recorded some evidence that the dogs’ immune systems had been stimulated. Which might have improved their immune response and recovery time if the dogs got an infection. There were even indications that the quality of the dogs’ blood had improved. This all sound amazing right? But unfortunately there’s a catch. Finding the best probiotics for dogs can be challenging. We’ll explain why in this section and give you some tips on what to look for when you are purchasing probiotics for your dog. The team at the Waltham Centre for Pet Nutrition grew their probiotics as they went, and gave them straight to the dogs. Obviously that’s not something we can easily do in our own homes, so we need to buy food or supplements with probiotics already added. And therein lies the problem. The best probiotics for dogs are those that survive the pet food production and storage process, and the acid environment of a dog’s stomach in large enough quantities to have a beneficial effect. Growing bacteria and then keeping them alive during the pet food manufacturing/packaging/storing/shipping process is difficult. Most of the good bacteria dogs have in their digestive system can’t be grown outside of a dog using any of the techniques currently available to us. So a “complete” probiotic is already out of the question. In 2003, J Scott Weese and Luis Arroyo at the Ontario Veterinary College found that out of nineteen probiotic pet foods on the market, none contained all the types good bacteria they claimed to. Over half were growing bacteria they shouldn’t have been. A quarter of them didn’t have any living good bacteria in them at all. More recently, in 2013 Łukasz Grześkowiak and his team at the University of Turku in Finland found that pet food manufacturing processes often alter probiotics. So even if they survive, they lose the ability to “stick” inside dogs’ intestines. Which means they’ll be passed straight through without imparting any benefit on the way. 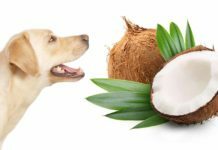 In the face of so much doubt over commercially produced dog probiotics, natural sources of probiotics start to look very appealing. The raw food probiotic options for dogs are specially formulated yogurts and kefirs (fermented milk drinks), fermented vegetables, and green tripe. These have their own drawbacks. Not all dogs can stomach dairy products or fermented vegetables. In fact a lot of dogs probably won’t even touch fermented vegetables come to that! Green tripe is a wonderfully nutritious food for dogs, and a cornerstone of many raw-feeding diets. But bear in mind that many of the probiotics it once contained will have died in the butchering process. Are Probiotics Right For Your Dog? Amazing results are far from guaranteed, but that doesn’t mean that you won’t notice any difference in your dog if you give them probiotics. If you’d like to go down this route, you’ll need to start by finding a quality probiotic product. We’d never recommend that you make major changes to your pet’s diet without consulting your vet first. Bear in mind, probiotics aren’t subject to any regulation or independently imposed quality standards. When Weese and Arroyo tested their pet foods, they also noted that a quarter of the products they tested mispelled or used out of date classifications to describe the probiotics they added to the food. Misleading and low quality products are out there, and your vet can help you avoid them. Can I Use Human Probiotics For Dogs? The problem with this is that we underestimate how many kinds of bacteria there are. They’re only one cell big, so we tend to think of them as boring. But they’ve existed for billions of years and colonized every habitat on Earth. And in doing so they’ve evolved into hundreds of thousands of different types. Many uniquely adapted to survive in their own environment. And dogs and humans have adapted too, to host and benefit from our own special populations of gut bacteria. But human gut bacteria and dog bacteria aren’t the same. For example we know that the dominant good bacteria in humans are Bifidobacteria species. But in 2004 a team at the University of Reading found that dogs only have relatively small numbers of Bifidobacteria. So human probiotics may disrupt and unbalance a dog’s gut bacteria, rather than complement and enhance it. If you want to try giving your dog probiotics, it’s important to find them a probiotic developed for dogs. Baby animals only acquire a tiny proportion of their gut bacteria while they are in the womb. In fact until recently we didn’t think they have any at the moment they’re born. Gut bacteria is acquired after birth by nursing, contact with the environment, and eventually through weaning. Giving probiotics to young puppies could overload their intestines with an unsafe amount of bacteria, and cause stomach upsets. If you would like to start giving your young dog probiotics, consult your vet ahead of time to make sure you pick the right moment. Worried pet owners often seek out probiotics for dogs with diarrhea. However, unless your vet has recommended it, this is not the time to experiment. As when you make any alterations to your dog’s diet, it’s important not to make big changes too rapidly. Unpleasant side effects are rare, and a safety study carried out by the Ohio-based Proctor & Gamble Pet Care Technical Center found that giving a specific Bifidobacterium strain of good bacteria to beagles was “well tolerated with no safety concerns”. This tallies with our general understanding that if you take steps to maintain an enhanced population of good bacteria in your dog using probiotic supplements, you might notice some health benefits. And at worst, your dog will just pass everything straight out in their poo. 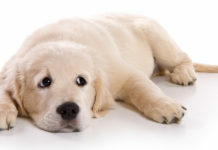 If you do notice any signs of stomach upset, discontinue feeding probiotics immediately, and seek veterinary treatment if the symptoms persist. So the jury is still out on whether achievable benefits of probiotics for dogs have been proven. Which is why I also want to talk to you about prebiotics for dogs. These have been subject to less research than probiotics so far, but the studies that have been done have received a far more unanimously favorable verdict. Other than one little vowel, what’s the difference? Probiotics are living bacteria. They increase the number of good bacteria in your dog’s gut simply by moving in. Prebiotics are the sugars that probiotics eat. They increase the number of the good bacteria by feeding them so the population grows. The obvious advantage of prebiotics over probiotics is that they can’t die or deteriorate in the manufacturing process, so the quality of the product is assured. Meta-analyses of prebiotics for dogs in America, the United Kingdom, India and Belgium have all found that feeding dogs prebiotics improves the balance of good and bad bacteria in their gut, increases digestion of proteins, and enhances their immune function. If you’d like to try prebiotics as an alternative to probiotics, we still recommend you discuss them with your vet to find the most suitable product for your dog. Are Dog Probiotics Worth A Try? 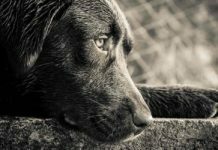 It might feel like probiotics have been around a long time now, but scientific research to prove their benefit in dogs is still in it’s infancy. There’s certainly some promising evidence that a diet supplemented by probiotics could help keep our dogs healthy. The problem lies in how to get the living probiotics into your dog. So far, commercial pet food manufacturers have struggled to reliably harness probiotics in pre-prepared foods or a supplement. As well as this, enthusiasm to profit from their popularity means that some poor quality and misleading products have reached the market. However, you are unlikely to ever do your dog any harm with probiotics, as long as any changes in diet are made in consultation with your vet. So, if you think your dog might benefit from probiotics, and you would like to try them, go for it! One probiotic reported to have better resistance to the conditions that occur during processiong and after being eaten, is a bacterium called Pediococcus Adidilacticic. There are others too, and these are likely to increase in number as more studies are carried out. Some probiotics have even been shown to survive during a period of antibiotic treatment, which is often when they are most needed. A product that contains a wide variety of different strains of bacteria probably gives you the best chance of some reaching and colonising your dog’s intestines where they can do some good. Probiotic Digestive Health by Furever Friendz claims to contain over 12 different strains of bacteria suited to dogs. And comes as a powder with a handy scoop and recommendations for quantities. Do you give your dog probiotic dog food? What has your experience of probiotics for dogs been? 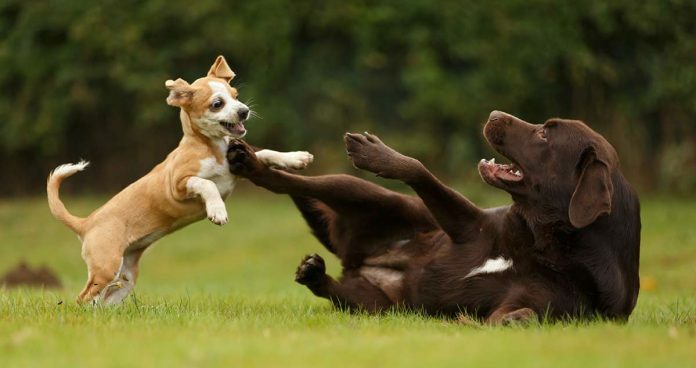 Did you introduce them to improve your dog’s overall health, or tackle a specific upset? Do you think they worked, and have you continued using them? Baillon, M-A. A. et al, (2004), “Effects of probiotic Lactobacillus acidophilus strain DSM 13241 in healthy adult dogs”, American Journal of VeterinaryResearch, 65(3): 338-343. Hesta, M. et al, (2006), “Effects of Prebiotics in Dog and Cat Nutrition: A Review”, Trends in Dietary Carbohydrates Research, pp. 179-219. Kelley, R. L. et al, (2010), “Safety and tolerance of dietary supplementation with a canine-derived probiotic (Bifidobacterium animalis strain AHC7) fed to growing dogs”, Veterinary Therapeutics: Research in Applied Veterinary Medicine, 11(3): E1-14. Patra, A. K., (2011), “Responses of feeding prebiotics on nutrient digestibility, faecal microbiota composition and short-chain fatty acid concentrations in dogs: a meta-analysis”, Animal, 5(11): 1743-1750. Rastall, R. A., (2004), “Bacteria in the Gut: Friends and Foe and How to Alter the Balance”, The American Society for Nutritional Sciences, 134(8): 2022S-2026S. Weese, J. S. & Arroyo, L., (2003), “Bacteriological evaluation of dog and cat diets that claim to contain probiotics”, The Canadian Veterinary Journal, 44(3): 212-215. Wynn, S. G., (2009), “Probiotics in veterinary practice”, Journal of the American Veterinary Medical Association, 234(5): 606-613. Our little rescue was experiencing pretty severe diarrhea after a treatment of Doxycycline for Lyme disease. A prescription medication was given but it didn’t help. I called the vet back and they suggested perhaps she needed some additional fiber and a probiotic. I did some quick research and found a product that people raved about for the probiotic and used 100% pumpkin puree for the fiber (very small amount). The benefits were immediate. We’ve weened the dog off the extra fiber but still use a small amount of the probiotic powder mixed into her food. Her energy and bowel movements are back to normal. I am so glad the vet recommended we try this. I have a working Lab who when he was young drank out of a stagnant puddle which caused him severe stomach upsets. Every time he swam in water he had ‘the runs’ within half an hour and it appeared our competition days were over. I gave him a year off and tried again but still the same. 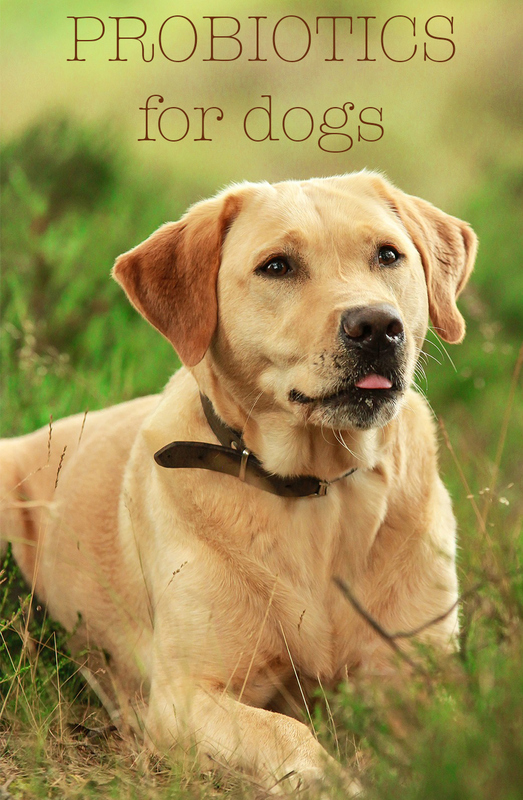 A friend had been to Crufts and recommended a company that specialises in dog products and do probiotics. I contacted them and they recommended one of their products. It consisted of probiotic tablets, 3 a day at first which I gradually reduced over time and he did eventually have a complete cure, so I would have no qualms about using their products again, very impressed, and now have a happy, healthy dog. Really glad the tablets helped your dog and I would greatly appreciate it if you could tell me what company you used. Thanks. I’m in Western Australia and finding a natural probiotic is difficult. I’ve been feeding our three dogs raw goat milk kefir for the past 3-4 years and its never let me down. There have been times when I’ve had to up the dose to treat certain things and its help tremendously. I don’t buy commercially made kefir, I source the raw milk from a local goat farm and ferment it myself. Any readers can find lots of information on raw goat milk kefir in Facebook groups. There are specific kefir groups as well as pet/dog groups. I’ve been running a group (raw feeding, natural prevention/treating, for a few years myself and have seen many dogs saved and benefitted from a change in diet and adding a probiotic/enzyme to the dogs diet. My lab has colitis. Has done since 10 weeks old. No good changes improved the situation so I made his menu virtually veggie. 5 uncooked vegetables per day with a small amount of cooked oily fish or white meat. He has a small no fat yogurt at night. Haven’t looked back. Very healthy happy Sam – 9 years later. One of our lab puppies has a sensitive stomach and probiotics is something that aides in easing the issue. Not just a probiotic on its own though. We feed a high grade food that assists in average stool piles but less frequently. The probiotic keeps the stool formed and the stomach misery away. I am a holistic living kind of person so I took him off to see if it made a true difference and it did. The issue returned within a day. We use a canine specific probiotic. We do use human grade supplements for brain, eye, and coat but we stuck with canine specific probiotics and it works for this particular pup. When our yellow lab was about 4 years old, she had loose, watery stool and terrible gas. We thought it was something she ate but it continued for several days. Our vet prescribed her probiotic pills which cleared up her problem within a few days. She has been on the pills for about 2 years now and her stool has been normal (except when she eats something she shouldn’t). Like A Ridland, it’s made a difference for us and her. That’s great. 2 years is a long time on the same one. The dog may benefit from a change/rotate in probiotic. Some holistic vest recommend this. Think about another source, such as raw goat milk kefir (RGMK), or fermented veg to name two. I’ve helped many dogs to heal through RGMK. These can be easily made at home for best quality. Once you have another source, you can rotate them. When I adopted my black male Labrador, he was approaching thre eyears old. He was in general good health but he suffered from extremely frequent (every 10 minutes or so) foul-smelling wind. I searche dthe internet and found many suggestions, but the most simple to try initially was natural greek yoghurt. I bought a pack of Activa natural yoghurt with bifidus, each small pot being 125 grammes. After his evening meal I gave him a pot of yoghurt which he thoroughly enjoyed, and low and behold, that very evening the house was truly “wind-free” – it was an instant miracle! He has had his daily pot of yoghurt every evening since then, and he very seldom breaks wind at all, and when he does it is not very strong smelling. When I got my labrador/golden retriever puppy a month ago the breeder gave me a pot of probiotic powder to add to her food. She has just finished it all today. Having read theverything above am now wondering whether I should not have given it to her. So many different opinions about everything to do with dogs on the jnteresting I am very confused. Thinking of not looking at anything else and just using my own common sense. My Lab was having loose, sloppy and extremely frequent bowel movements (sometimes up to 8 movements in an one hour walk) no matter what food he was fed. We tried most high quality foods (including “for sensitive” stomachs) and there was little difference. At one point it was so bad that the BM were completely liquid. Our vet prescribed a kaolin/probiotic paste from Protexin which sorted the issue in a day. So much so that I feared our Lab was constipated. So following that I started to add a Synbiotic D-C capsule to his morning feed. Within two days he was better and within a week he had nice solid and smooth BMs. So I would highly recommend these probiotics. It has made a massive difference for us.